Could you please help me about one thing ? Solder the core of external antenna to the GREEN hole. Solder the shield of the antenna to the two RED points. 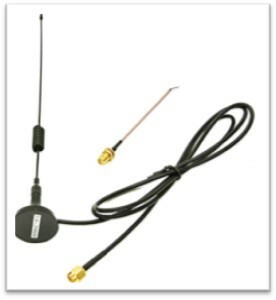 The antenna is a 868Mhz One , frequency used in France, where I live, for z-wave products. This Does not work …. Did I do something wrong ? in manual there is only about breaking pcb antenna, but on internet You can find something about unsoldering resistor somewhere else about inductor so it is not clear. I thought this forum was the best place to ask my question, but maybe not..... is there a more appropriate place?? What is this razberry card? Is this an official version? What is the difference with this one? 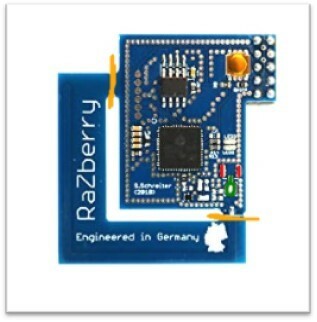 This a Razberry2 EU board. Official version of what? modification - no (I'm waiting for official manual), board - it is official version. Thanks Arek for the help. Unfortulatly, It does not give any result. The 0 Ohm resistor is by default soldered on the red PCB antenna contact points. To use Wired Antenna or U.Fl Connector it is necessary to place the resistor on the green contact points. > Unsolder 0 Ohm resistor from red marked position and solder it on the green marked position.